I finally attended my first ever watch fair. 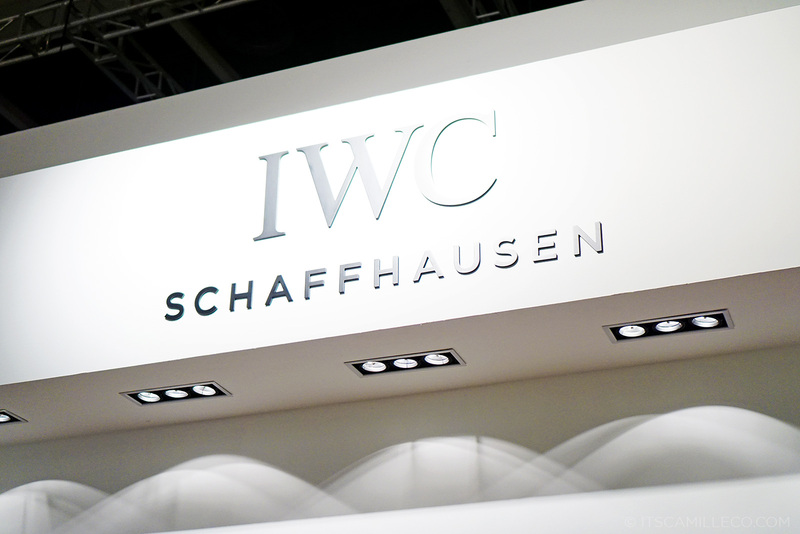 I was invited by IWC to attend the exclusive Watches And Wonders event at the Hong Kong Convention and Exhibition Centre where thirteen Maisons (including IWC) were exhibiting their latest collections. Here, watch enthusiasts from all over the world are able to discover the latest trends with close to 3000 watches on display and learn more about the science and art of time through workshops on secrets of mechanical watchmaking, informative talks on the creations and history of the brands and demonstrations of watchmaking’s applied art. 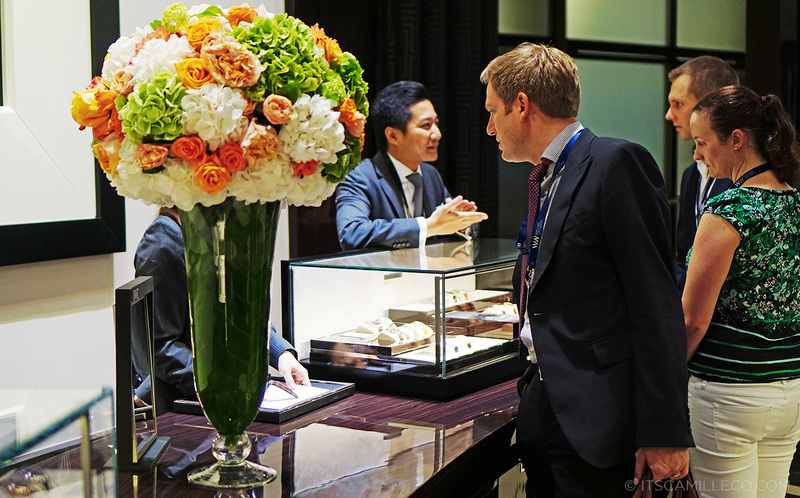 Because this was already my second watch event (the first one being in Switzerland), my eyes were already opened to the intricacies of watchmaking. By this time, I’ve understood why the men in my family, like all watch enthusiasts, take their watches seriously. Dare I say, I’ve become appreciative of watches, much like how I appreciate shoes and bags. 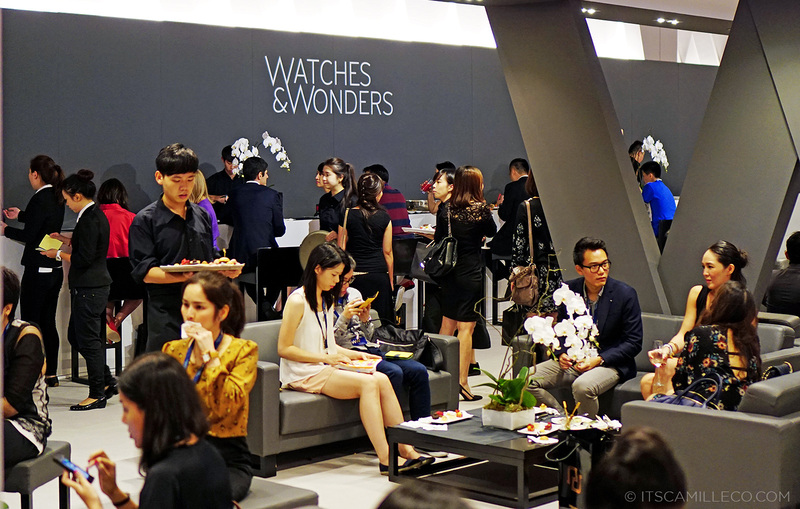 Watches And Wonders is a 3 day event held in Hong Kong annually. This year is only its second year but already, it has gotten buzz from all over. 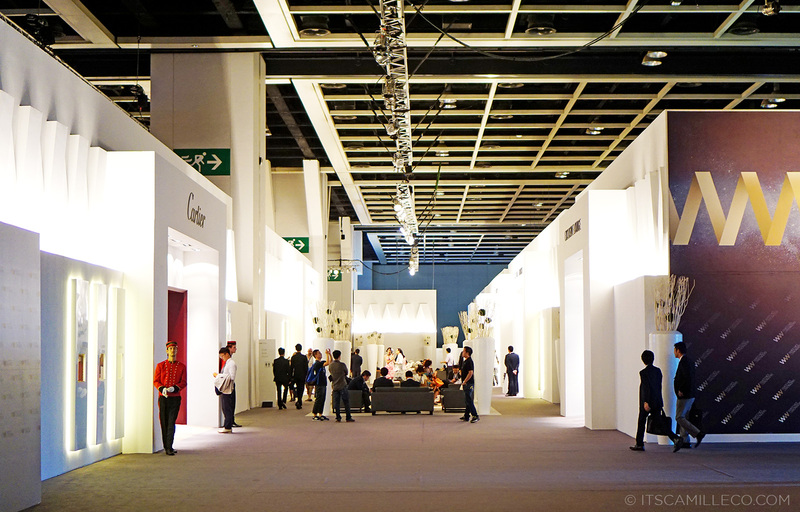 I was able to roam around the different booths when I visited the event. 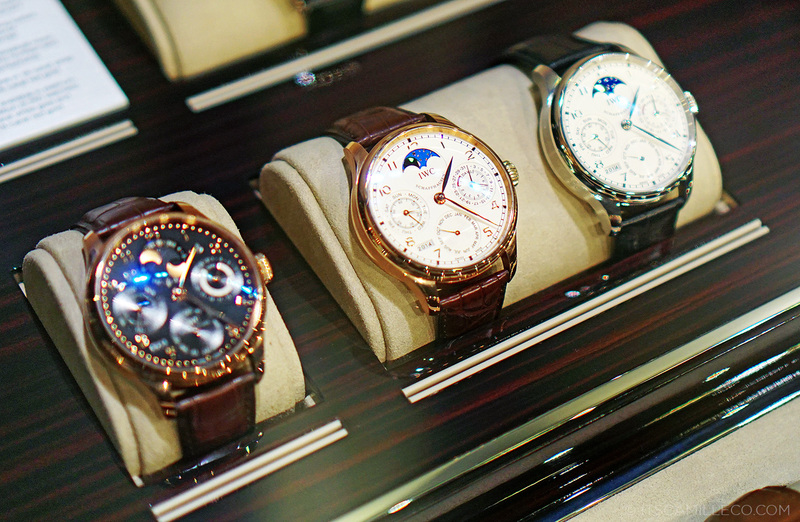 But of course, I spent the most time at IWC’s booth. 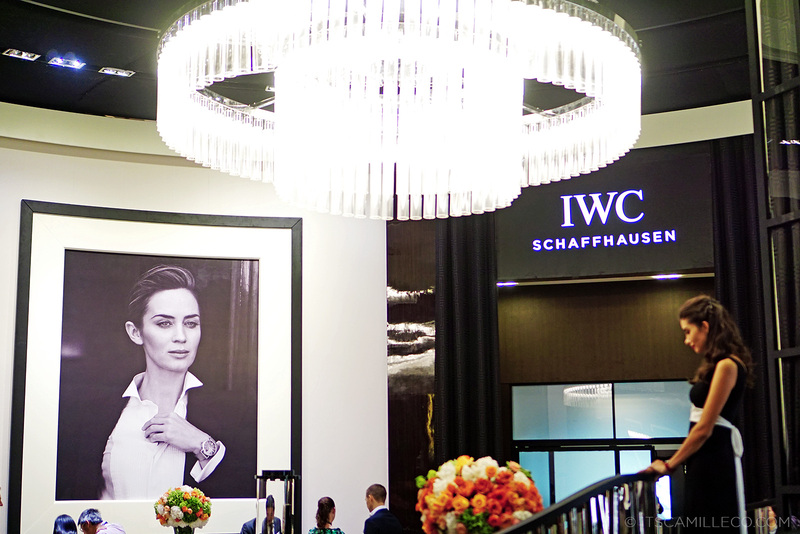 The IWC team scheduled a round table discussion for me and a bunch of other journalists with IWC’s creative director, Christian Knoop in one of the private rooms at their booth. 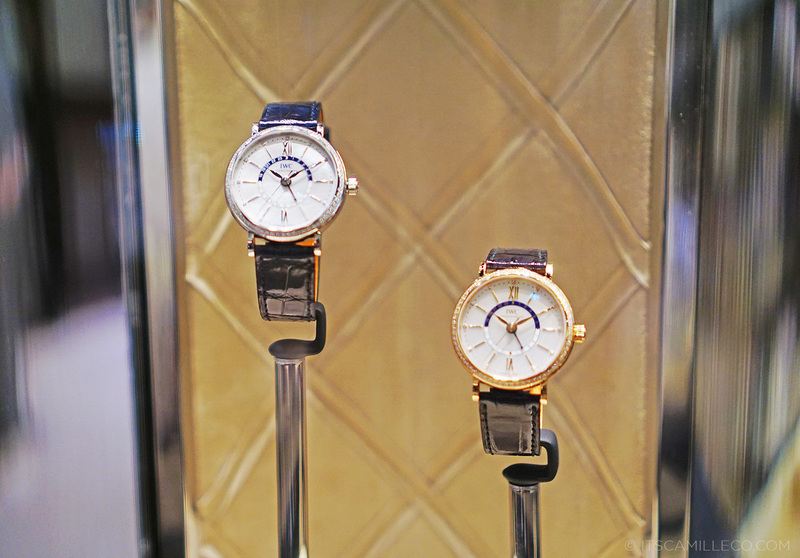 Here, Mr. Knoop shared with us everything there is to know about their new 2014 Portofino Midsize collection. And as promised, I’m sharing them to you as well. 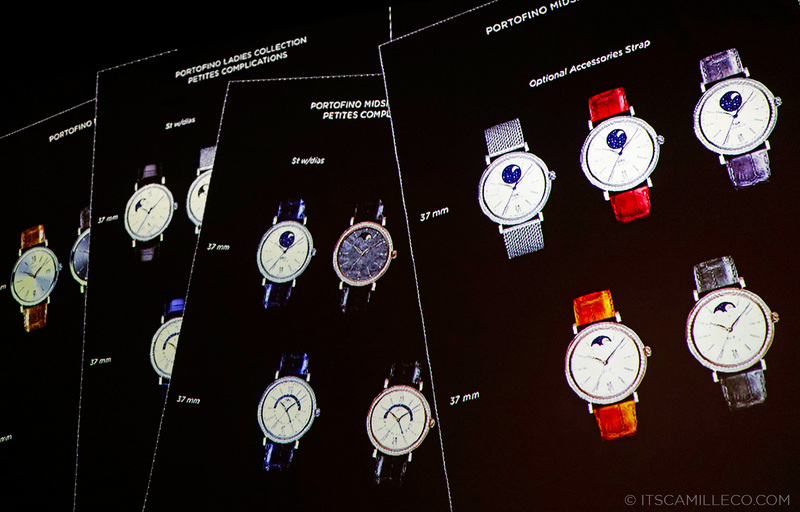 According to Mr. Knoop, the Portofino collection was relaunched in 2011. The response was so overwhelming that its success in terms of quality and turnover was equal to that of IWC’s Portuguese and Pilot collections, all without much advertising involved. 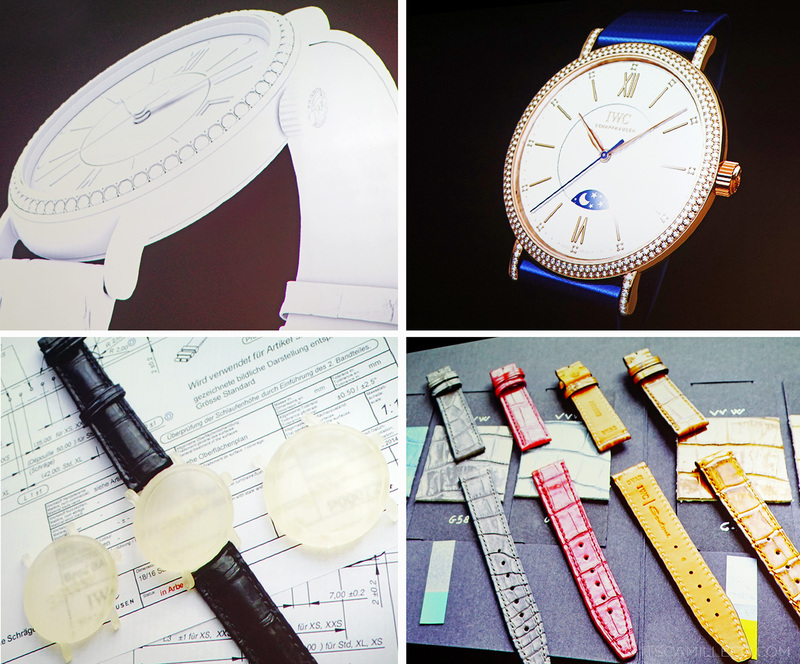 This encouraged them to extend the collection and go back to the collection’s roots which includes smaller watches. Since Portofino watches appeal to both men and women, IWC wanted to extend this further through the 2014 Portofino Midsize collection. In designing the collection, much like any other new collection, the biggest challenge here was to find a balance between the past and the future–to maintain the brand’s heritage while injecting new ideas to create the collection’s design DNA. 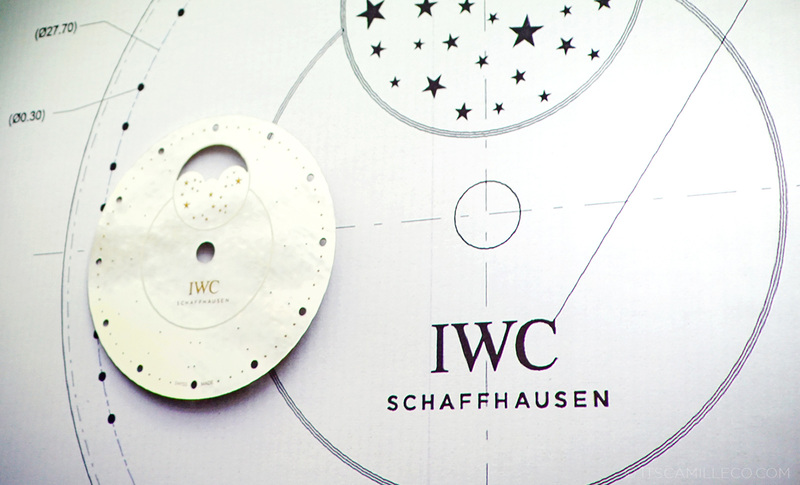 To really make a watch successful, Mr. Knoop believes that one shouldn’t focus solely on the beauty of the product, but more on its character and identity so that when people see the watch, they can easily associate it with the IWC brand while still finding a few surprises here and there. 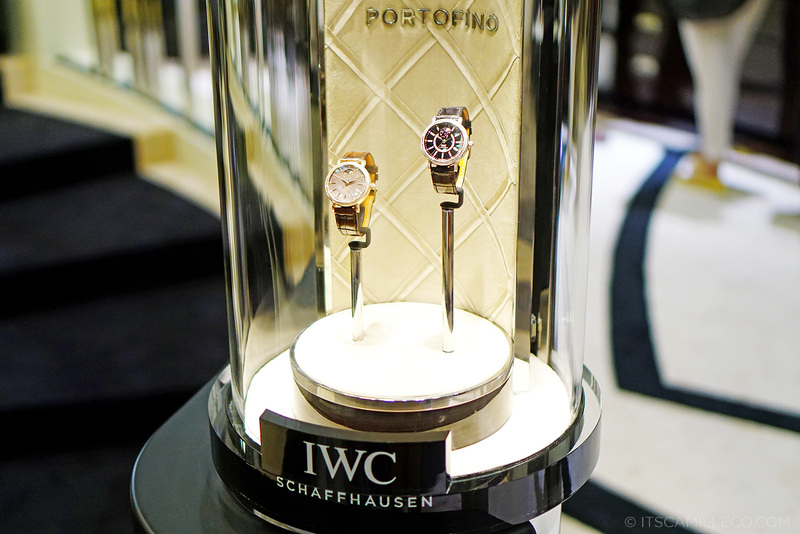 In order to achieve this, IWC’s design team dived into their archives to search for the Portofino’s design DNA. They figured out what elements they should keep and what they can play around with and develop further. With the Portofino automatic from 2011, there are a couple of elements that are linked to the very first pieces of the Portofino. The most recognizable of which is its round case taken from the pocket watch style wristwatch of the Portofino in 1984. This, together with the sleek indices and roman numerals, feuille-shaped hands and minimal lug attachments are signature to the product line. The very first Portofino in 1984 was basically inspired by the IWC Lépine pocket watch with a crown and moon phase at 12 o’clock. When it was made into a wristwatch for the Portofino, its dial was turned through 90 degrees and the moon phase ended up at 3 o’clock. It was a famous compromise and made the Portofino very recognizable. 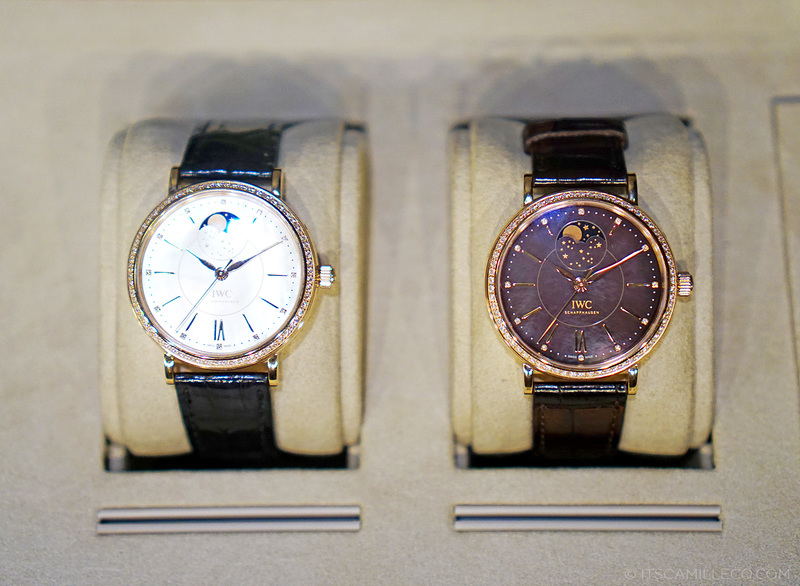 Because of this, IWC really wanted to incorporate the moonphase into the new Portofino Midsize collection. The moonphase is distinctly Portofino and distinctly an IWC complication so it’s a fantastic idea to bring it back into the fold. I personally think the moonphase adds so much flavor to the Portofino, especially with a black dial. It’s as if the diamonds are stars! Another important element from Portofino’s history that was brought forward to the new collection is the diamond-set bezel, first featured in the 1985 model. IWC also took some inspiration from its 1989 model with circular date indication all around its dial. In the new collection, this was turned into a day night function instead, with the inner ring indicating 24 hours, highlighting the night hours with a blue background and day hours with white. For the new design elements, the most prominent one is the smaller size that the new Portofino watch now comes in. To attract more female customers, IWC also made sure to add details like the mother of pearl dials in black and white and the diamond-set bezels and hour indices. The white gold version of the Portofino Midsize Automatic Moon Phase even has 174 pure white diamonds! IWC sure knows how to tug on women’s heart strings. To the men, don’t you worry. The Portofino Midsize Collection is available with or without diamond-set bezels. Aside from these, more sleek elements were incorporated as well, such as slimmer straps, minutes indicated with dots instead of lines and thinner hour marks. 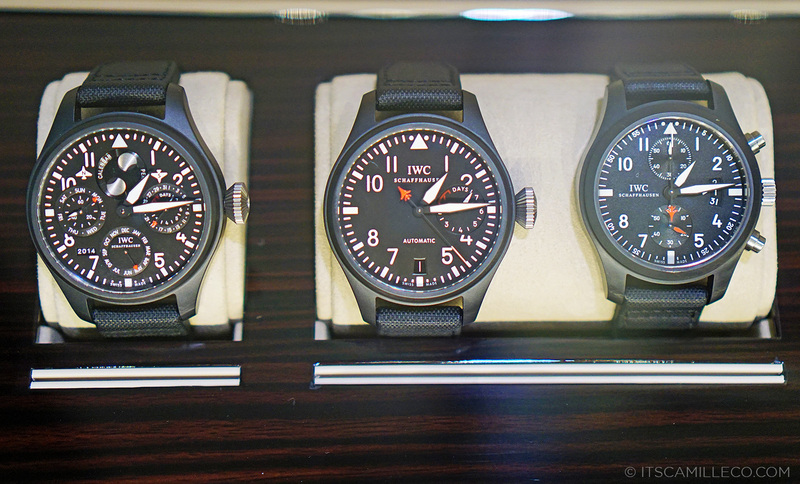 Like any other design process, it took years for IWC to come up with this new collection. The team explored various designs and had to go to and from the drawing board a couple of times before they ended up with the final collection. Mr. Knoop gave us a sneak peek into what usually happens during this process. They start with renderings like the first photo on the upper left and produce 3d drawings of possible designs. Here they explore different straps, double rows of diamonds, movement options, baguette-cut diamonds, various proportions and more. As early as this point in the process, the designers already work closely with the engineers to determine the feasibility of the models. Then, they start constructing prototypes. Since the case can be quite expensive, they construct a plastic case via 3d printing instead so that they can determine the proportions and dimensions of the products. After which they move on to brass cases that are plated in silver or gold to mimic a real stainless steel or gold case. After all the prototypes are settled, the designers then move on to refining the collection. I can totally relate to this part of the process. We, as designers, like to create various styles and all but at the end of the day, the success of the collection depends on its cohesiveness and versatility. When it comes to watches, what Mr. Knoop looks for are variety in the watch’s movement, relevant spread in terms of price and an interesting offer of different colors and displays. The photo you see above shows you the various styles available from the new Portofino Midsize Collection. The team also works on how to communicate the product line to customers. Everything from the portfolio, catalogue and even shoots are conceptualized by them. 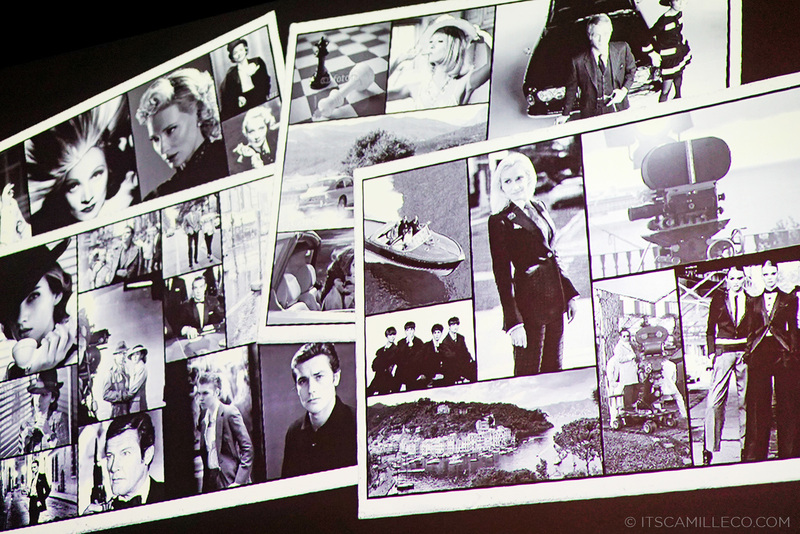 This slide shows the pegs/moodboards for the Timeless Portofino shoot featuring Cate Blanchett, Emily Blunt, Zhou Xun, Ewan McGregor and Christoph Waltz. 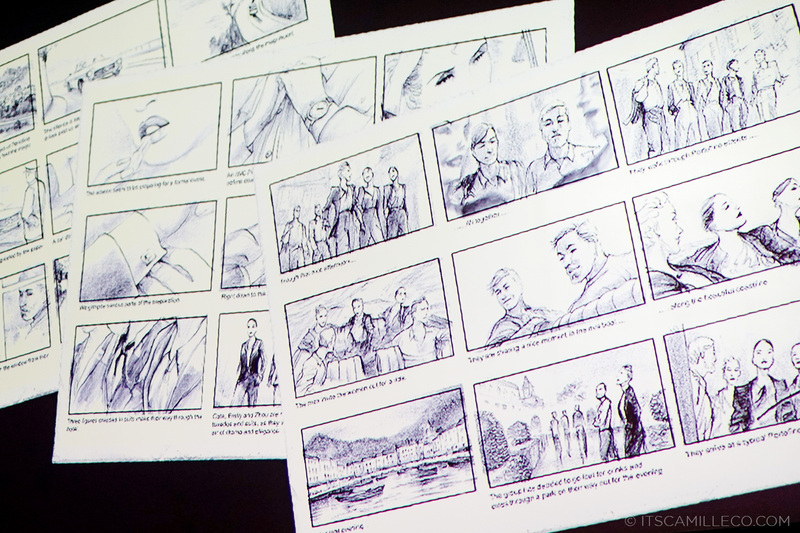 Storyboards are also developed for the shoot. Don’t they look exactly like the final movie I posted here? 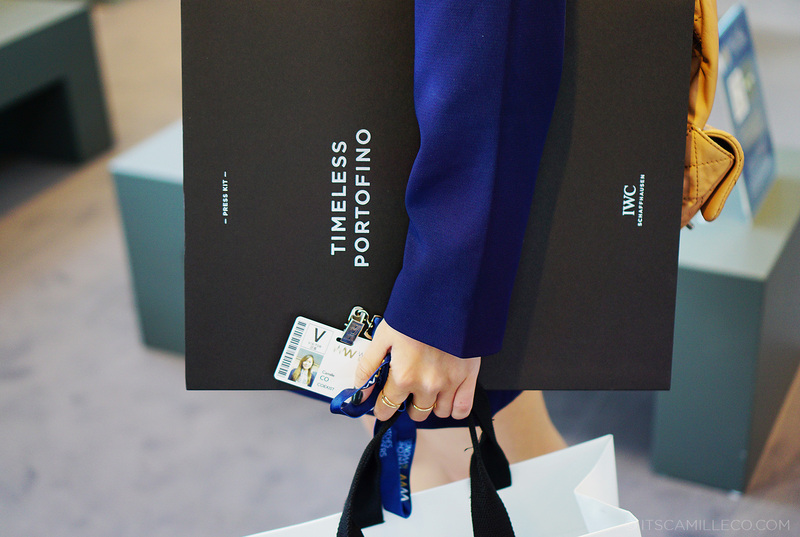 It perfectly conveys who the Portofino man and woman is–strong, confident and effortless. 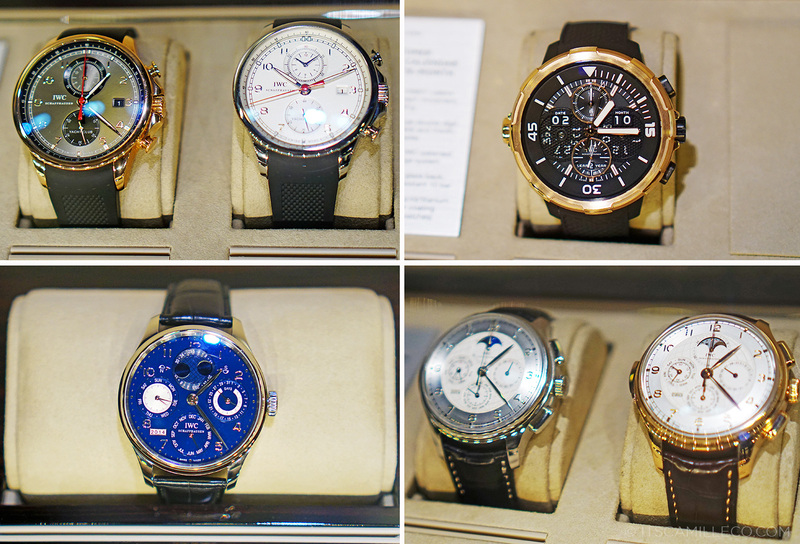 After our round table discussion with Mr. Knoop, I looked around the booth to ogle at IWC’s watches some more. These are Portofino models as well, called the Portofino Chronograph. Judging from all the Portofino watches I’ve seen so far, they seem to be always pure and sleek in design, simple but luxurious at the same time. Just how I like my watches! You can see how Portofino watches differ from IWC’s Pilot, Portuguese and other watch families and why more women prefer Portofino. 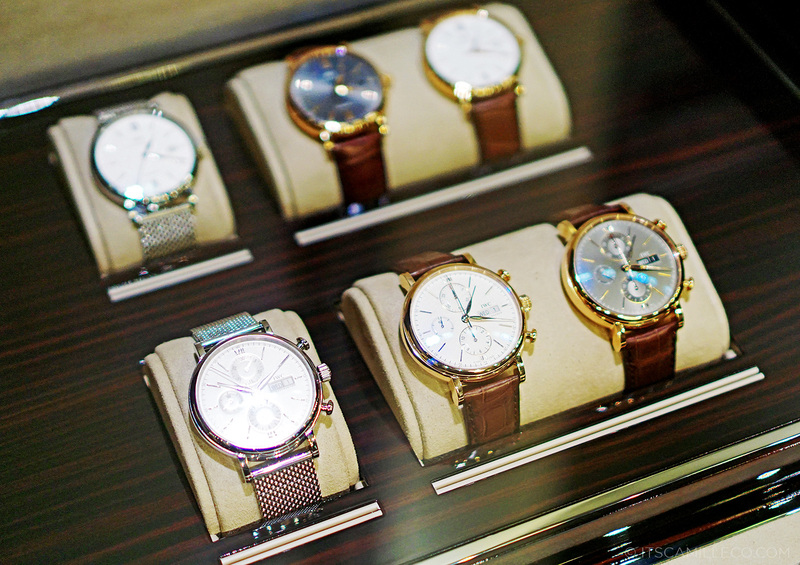 Although I adore Portofino especially its new Midsize collection, I actually find these masculine watches beautiful as well. IWC is a reputable watch brand for a reason. Now that I’ve learned more about it’s heritage and design process, I’m an even bigger fan of the brand. 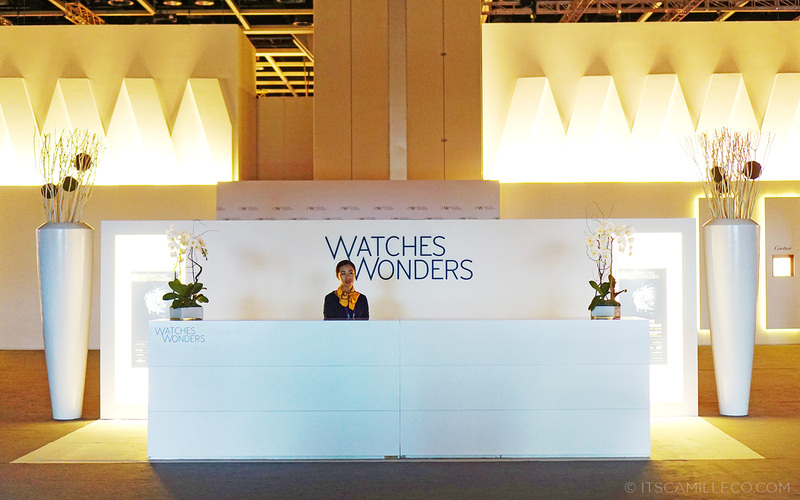 Thank you IWC for inviting me to Watches And Wonders! 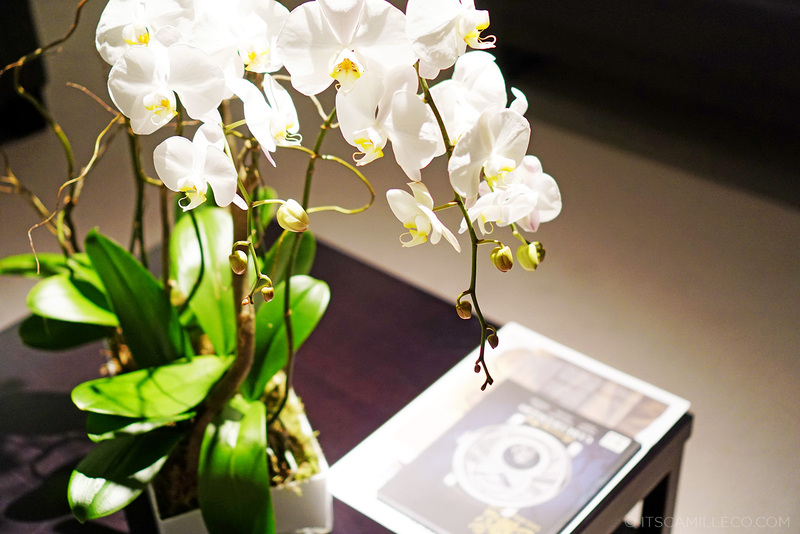 It’s an experience that’s definitely brought me closer to fascinating world of watches. 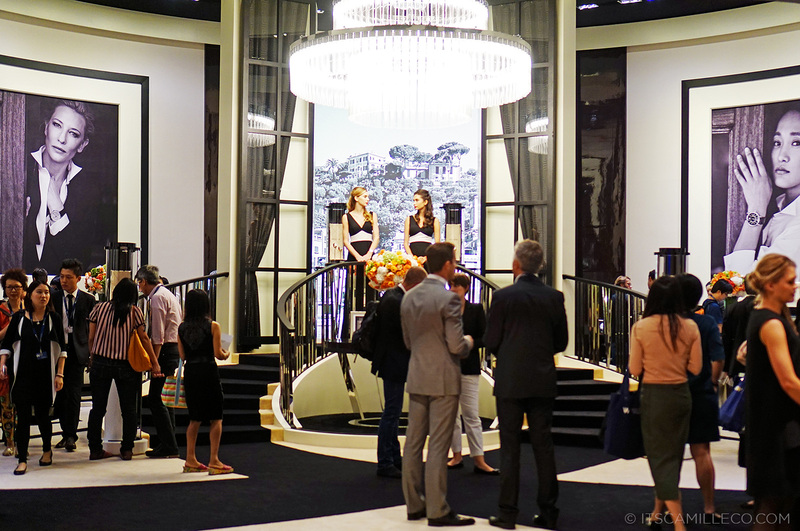 Hi Camille, I have been three times watches exhibition in the Basel famous fair in the world. I usually use to Festina watches and you ? Thanks Katrin! :) Happy to share what I learned! I love watches! They can really add up glamour to my outfits :) This post helps a lot to me thank you! I have always been a big fan of watches. I can never leave the house without one. This post is such a treat Cams. Seriously, I want each of those. If only… Hihi.